Found these little beauties. I suspect they are about to revolutionise my washing up and cleaning habits. 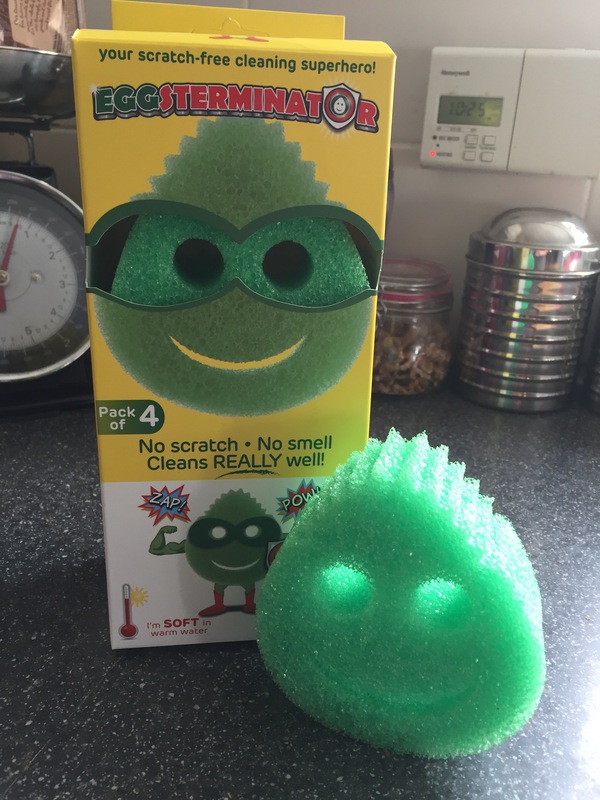 Eco-Egg Eggsterminator Sponges are my latest find. 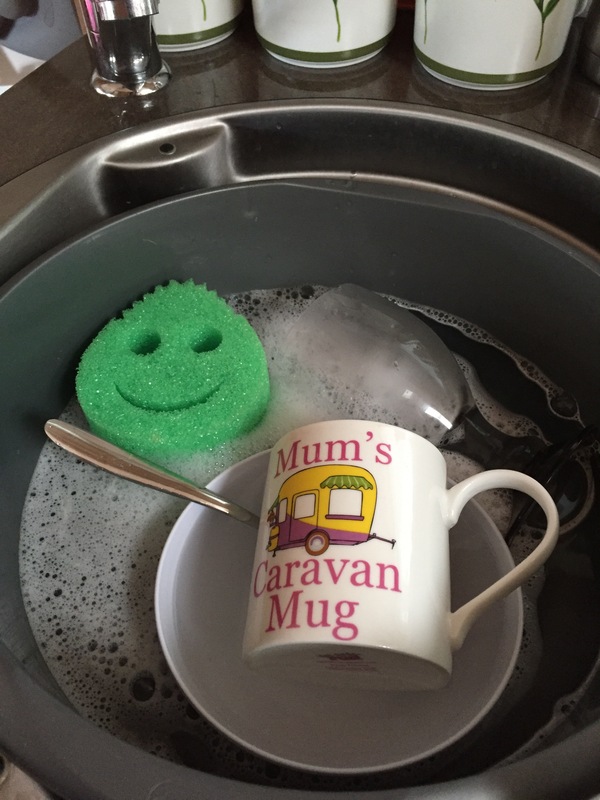 I hate washing up and have a dishwasher at home but in the caravan it’s a necessary task, unless of course you can eat out all the time. This sponge/scourer is multi functional. Used in hot water its soft and squishy like your traditional washing up sponge. 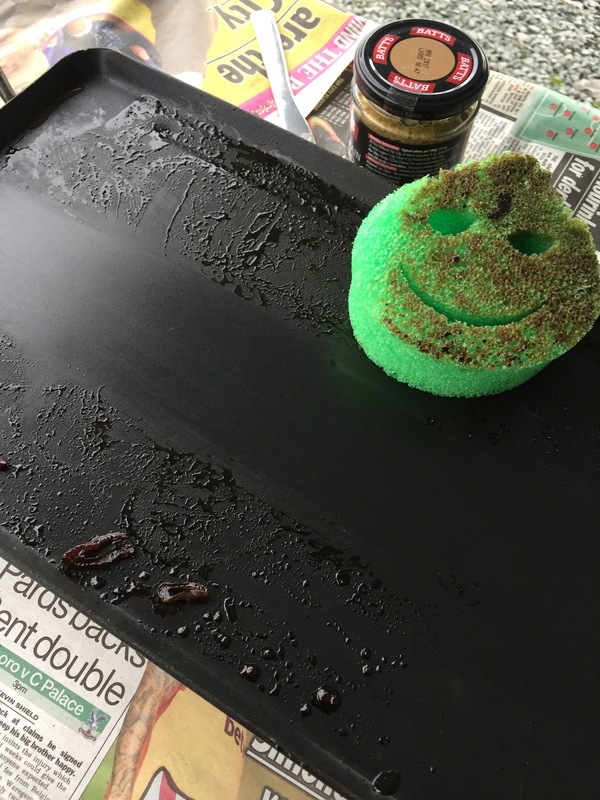 In cold water it’s harder, yet kinder, than any other scourer I’ve ever used. No chemicals are required to remove the toughest stains, just cold water. Cleverly designed too. It’s eyes make perfect finger holes, it’s cleverly shaped hair cut means it can get into the toughest of corners and the mouth is ideal for cleaning cutlery. Great for removing tough burnt on stains with very little effort. 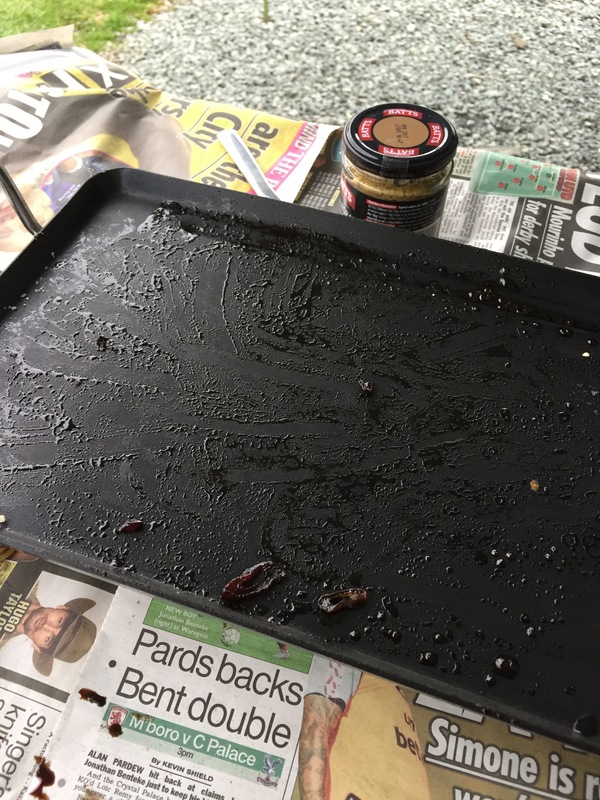 We cooked on the teppanyaki, normally this is impossible to clean once it’s gone cold without risking scratching the surface. Today I decided to see what the Eggsterminator was made of. 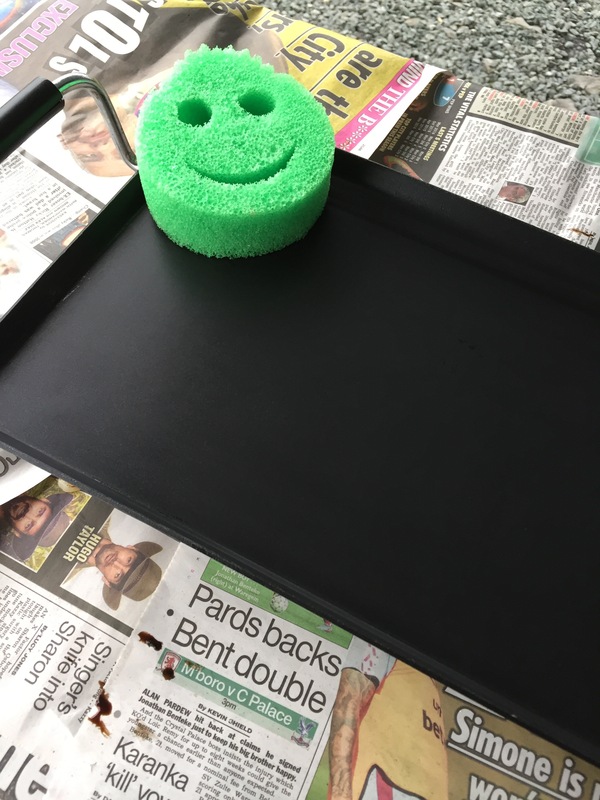 I used dry kitchen roll to wipe away the cold water that came off the sponge and – voila! The sponge rinsed off in lukewarm water washed away any traces of grease returning the sponge to its original state. So far, having only used them in the caravan, I’m a fan. Now to try them at home!